Here we give you our round-up of the best BFS articles of 2017. Here’s our selection of our five favourite articles of 2017 – take a look to see what great business advice you may have missed. It can be difficult to know the best way to respond to those seemingly interested in buying your business. First off, how do you know if they’re a genuine potential buyer and how much info should you initially exchange. In our article about how to reply to initial queries, we give you an overall guide to communications etiquette, and tell you the best way to proceed. We also tell you exactly what, and what not, to share, and when. At BusinessesForSale.com we’re always delighted to see a family run business do well. In this interview, we spoke with two brothers who together set up, and now run, a popular fish and chip shop in North London. They talked about what it’s really like to work with family and how they have adapted and modernized to ensure the continued success of their business. 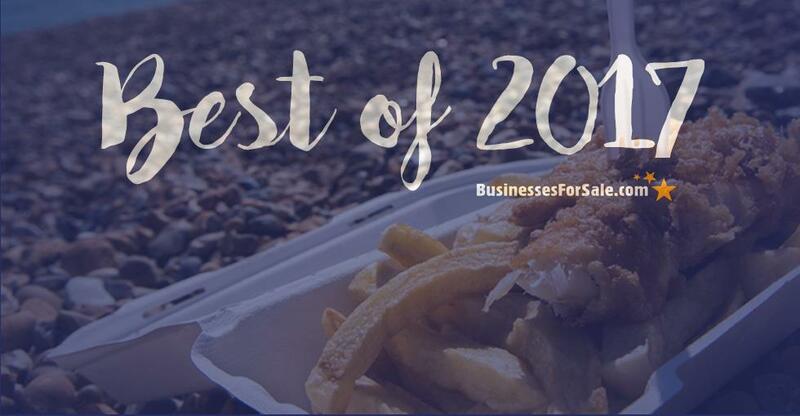 They also explain the day-to-day challenges they face in running a fish and chip shop business and what skills you need to work in the food industry. In our buying a tearoom guide, we hoped to inspire our readers to pursue a passion for tea, cake and tradition. We spoke about the revival of the British tearoom, and how the popularity of afternoon tea, hen-dos, cake and specialty teas is changing our ideas of what a tearoom can be. We also highlighted that the continued growth in the number of UK cafes means you have to stand apart from the competition. A tearoom can be the perfect way to be different, you can offer high quality products, a truly special customer experience, and, by offering special events, you can bring in extra revenue. Restaurants are big business and in our sector spotlight we looked in detail at the current challenges and opportunities within the UK restaurant sector. We gave some figures demonstrating the overall resilience of the food sector and examined exactly why the sector seems to go from strength-to-strength. We looked at what trends help the industry remain buoyant and also looked at what skills you need to really thrive as a restaurateur. Getting a bank loan can be a daunting, frustrating and often unsuccessful endeavor, so our friends at Rangewell gave us their expert advice on how you can secure the loan you want. In this article, they gave us their 5 top tips about how to properly prepare, and what info you need to know, and questions you need to answer, ahead of asking your chosen bank for money. The article also discussed how to choose the right business in the first place and when to seek professional advice.